For Xixia County, Shiitake mushroom farming is undoubtedly one of the crucial pillars for industrial revitalization. After over 20 years of development, by now, Shiitake farming has become the characteristic industry which enriches the farmers within Xixia County. Nowadays, there are over 200,000 population engaging in production and operation of Shiitake mushroom, 60% of farmers’ income is sourced from Shiitake industry. “Now, in Xixia County, there are 108 companies devoting to Shiitake mushroom processing, 62 companies dealing with export of Shiitake mushroom, added value of products is greatly lifted,” introduces Mr. Wang Qinglai, general manager of Henan Baijunyuan Ecological Agricultural Technology Co., LTD, adding that now, the industrial chain which sets cultivation, processing and export trade into one has been formed on Shiitake mushroom industry in Xixia County, and they witness the continuously-improved process. The Republic of Kazakhstan and other countries. In 2005, Shiitake mushrooms cultivated in Xixia County, Henan Province were firstly exported to oversea nations. From 2005 to 2017, value of Shiitake mushroom export was raised to 643 million USD from 3 million USD, which indicates 217 times of increase. 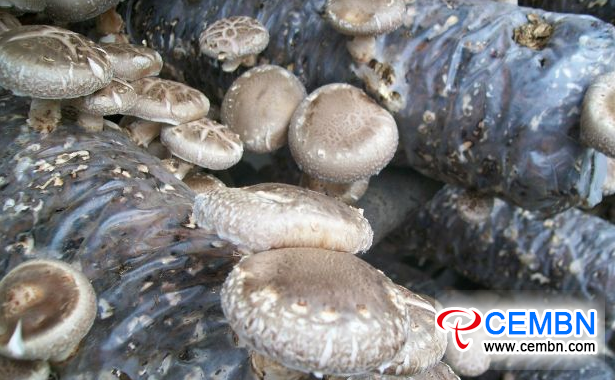 In addition, Shiitake mushrooms cultivated in Xixia County have also been taking the lead for successive 5 years on export of food and agricultural products in Henan Province.